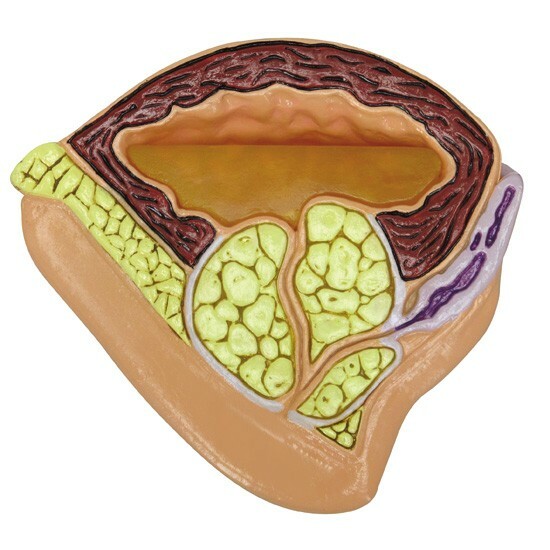 Near full size, mid-sagittal section showing the anatomy of the pelvis and prostate. 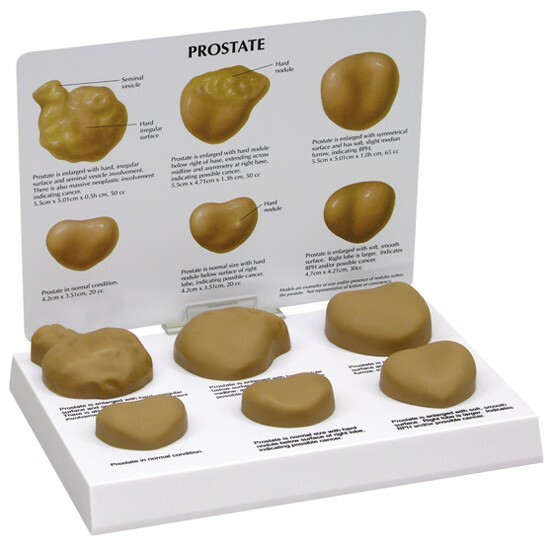 Includes both normal and benign prostatic hyperplasia (BPH) inserts. 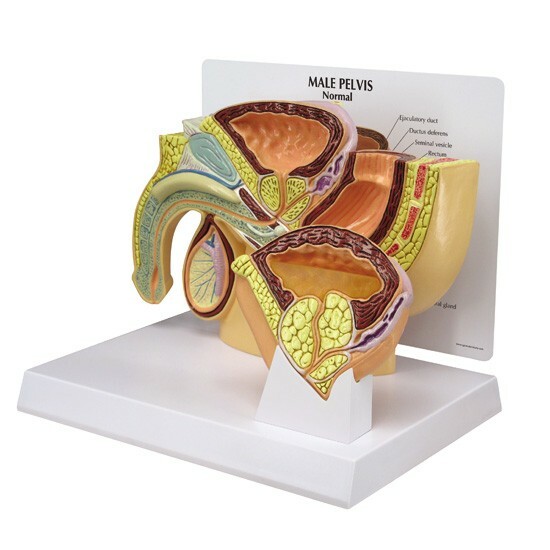 BPH insert shows increased size of prostate, urethral obstruction, urine retention, and thickening and distention of bladder.